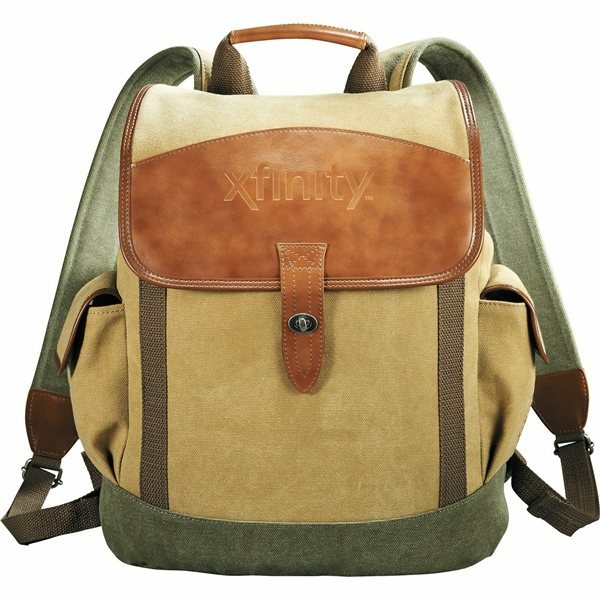 The Cutter & Buck® Legacy Cotton Canvas Backpack is a laid-back rucksack style bag that has a drawstring main compartment with a protective leather turn lock closure flap. One zippered pocket in the main compartment and one pocket under the flap are featured, as well as two gusseted and lined hook and loop side pockets and adjustable, padded cotton straps and a leather comfort grip carry handle. Made of rugged cotton canvas and lined with Cutter & Buck's sleek, striped signature lining. Antique nickel hardware and Cutter & Buck branding help complete this piece. It shows of my logo well. the preview showed me exactly what I would be receiving. the best teacher in my life! They work very well, especially for the price we paid. It is really an awesome product.the GSI logo design arrived on the scene excellent. Thanks!